Customize your own. 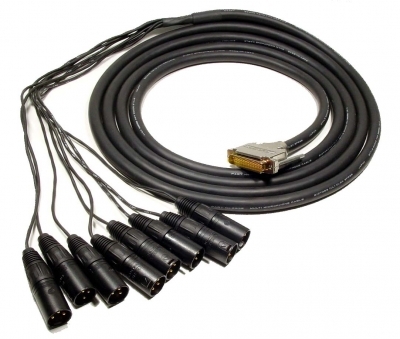 Select from various connector and treatment options along with your choice of Mogami 2, 4, 8, 12, 16, and 24 Channel Snake Cable. Please scroll down to see all items. Mogami Snake Cable is flexible, easy to work with and sounds great! From their own site: "Mogami multicore cables are designed for the highest level of audio performance and feature superb electrical and mechanical characteristics while remaining compact, superflexible and easy to use". XLPE (Cross Linked Polyethylene) insulation provides superb electrical characteristics. Each channel has a drain wire and served (spiral) bare copper shield to eliminate EMI and RFI interference.